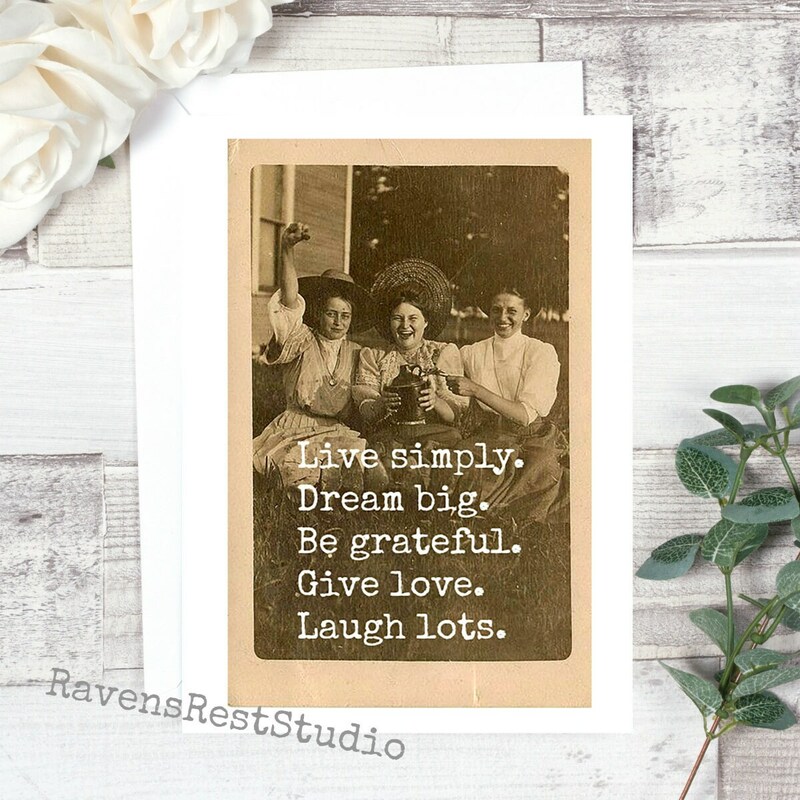 Blank Greeting Card - #190 - Live Simply. Dream Big. Be Grateful. Give Love. 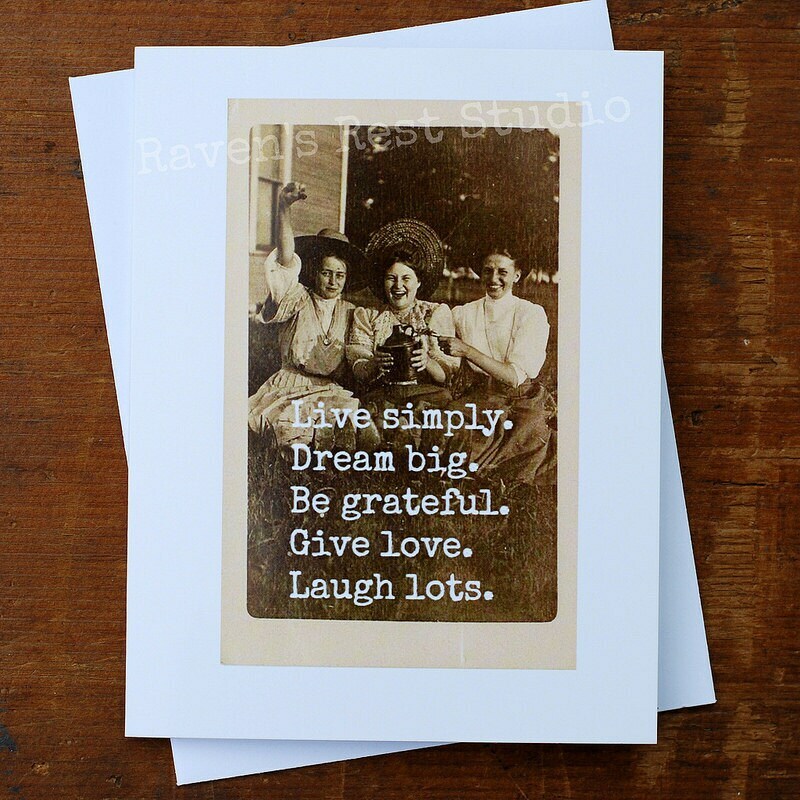 Laugh Lots. 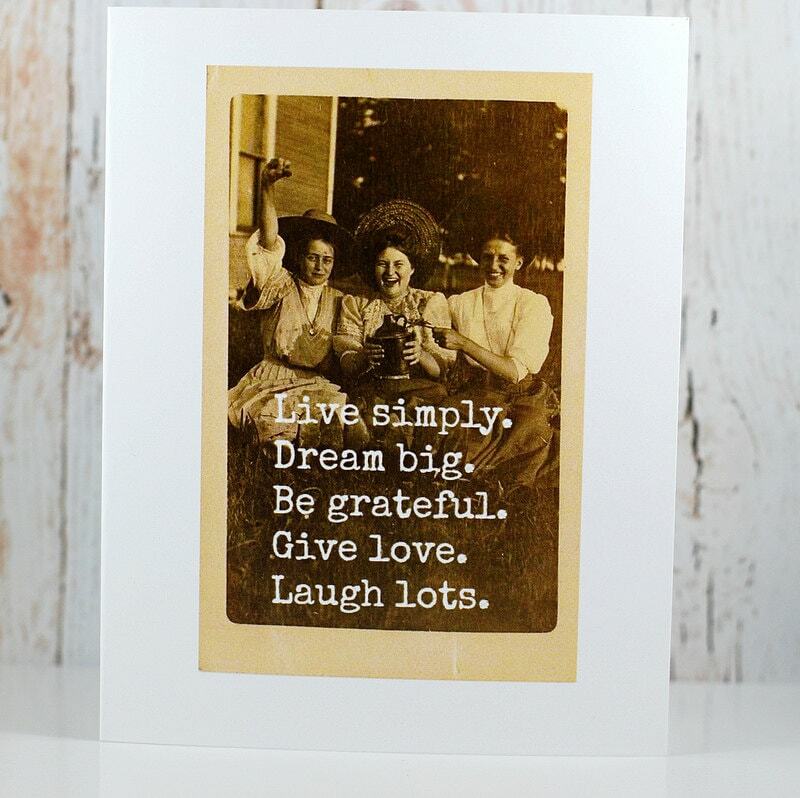 This card features three vintage friends, and reads: "Live simply. Dream big. Be grateful. 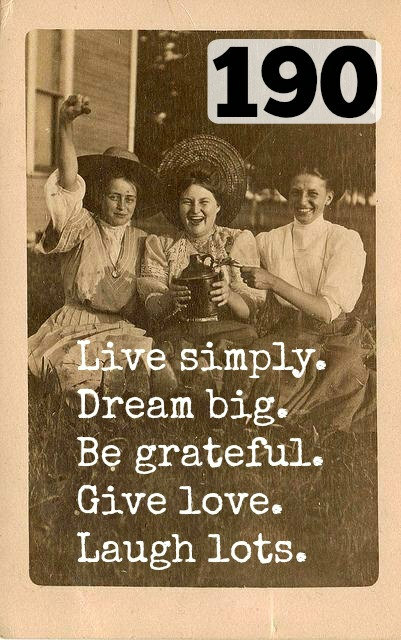 Give love. Laugh lots." P.S. - I welcome wholesale orders!